The team of Rotarians from USA. 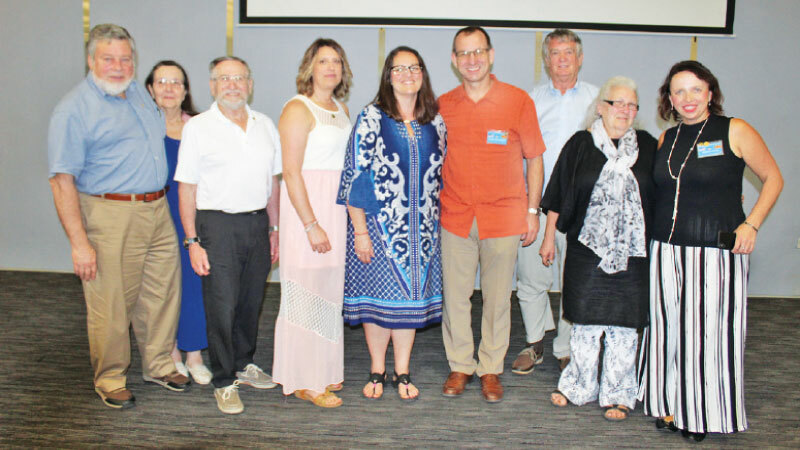 The Rotary District 3220 Sri Lanka received a team of 12 Rotarians representing various professions from Oregon, the United States of America recently. They visited important historical and cultural places in Sri Lanka including Kandy, Nuwara Eliya, Galle and Colombo during their stay in Sri Lanka. Rtn. Ned Preble led the team of the 12 Rotarians. Rotary District Governor Dushan Soza welcomed them. Through the Rotary Friendship Exchange Programme, Rotarians in one part of the world can experience life in another country or culture and their families get the opportunity to host and visit Rotarians around the world. The programme provides a strong foundation for carrying out other international activities and service projects in addition to the new experience they gain. Past President Adhil Rafeik, District International Chairman Past President A. P. Jayaraj, District Rotary Friendship Exchange Chairman, Team Leader for Oregon RFE, Past President Chaturka and Rotarians of Rotary District 3220 participated.